Originally created for an exotic dancer in the 1970s, benetint has soared to cult fave status. 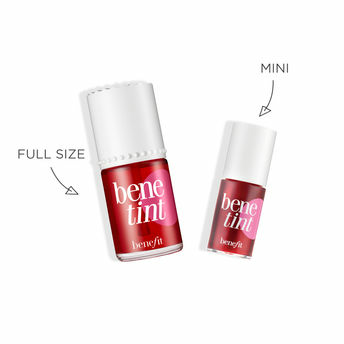 Benefit Benetint rose-tinted cheek and lip stain is loved by celebs, makeup artists and gals around the world. It's the sexiest flush you can get from a bottle! Explore the entire range of Blush available on Nykaa. Shop more Benefit Cosmetics products here.You can browse through the complete world of Benefit Cosmetics Blush .Alternatively, you can also find many more products from the Benefit Cosmetics Benetint Rose-Tinted Lip & Cheek Stain range.